Would you ever head out on a long road trip without filling your tank with gas? Of course not! You’ve got to fuel that machine! While the same “empty gas tank” principle applies to workout nutrition, it doesn’t have to be as complicated as it probably seems. Basically, when you fuel your body with the right nutrients before your workout, you’ll be able to lift more, run longer & faster, better your performance, and increase your gains. So, you’ve just finished your workout and you know you need to eat something. But, with so many choices, not to mention conflicting information...WHAT should you eat? 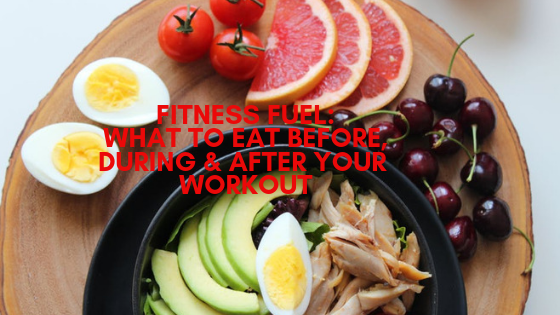 We’ve pulled together the basics on how to fuel your body before, during & after your workout so you can improve your performance and maximize recovery. Plus, you’ll feel so much better with just a few tweaks to your nutrition here and there.